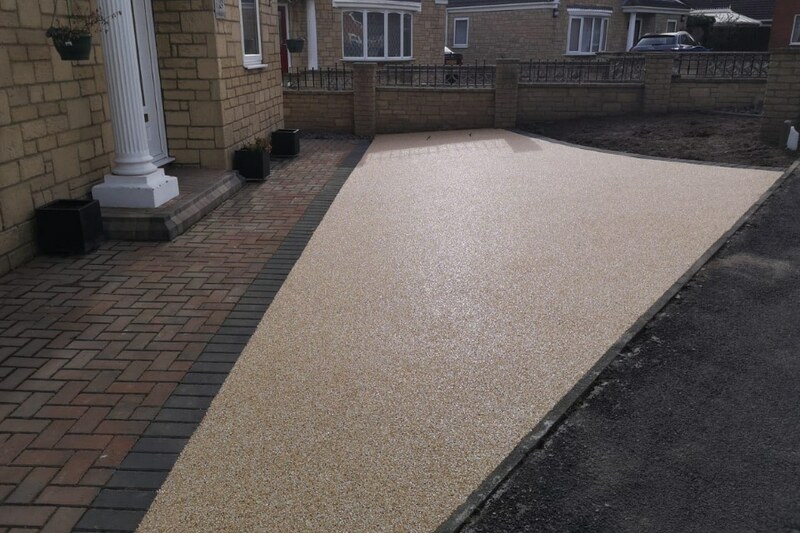 Resin bound driveways are becoming more and more popular in the North East. This project involved us taking up the old driveway, preparing the surface and laying the new resin. 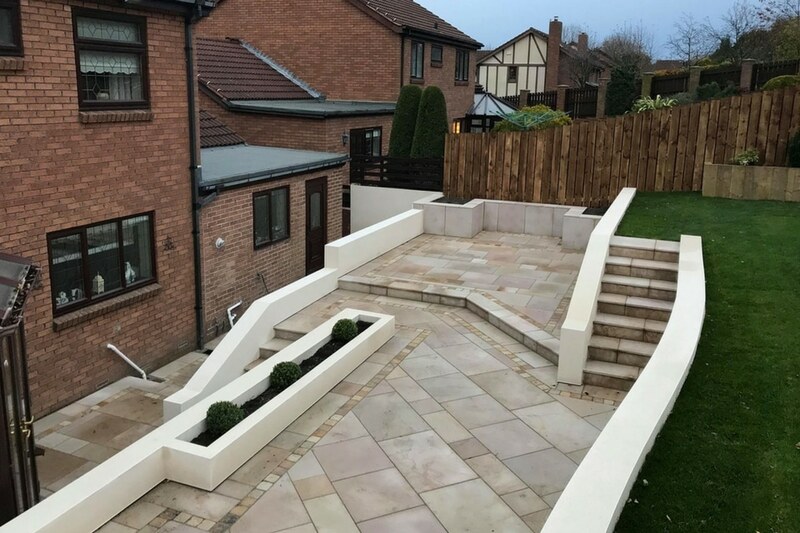 We created a beautiful stylish border using blocks to separate that from the patio area. The overall result looks very stylish and appealing to any visitors arriving at the property. 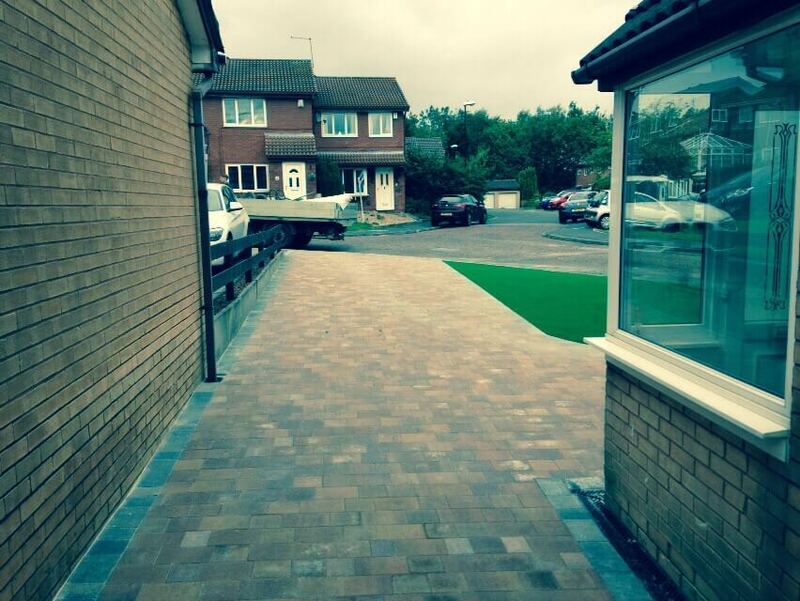 Resin bound driveways are made from natural aggregates, they can totally transform the look of a driveway. Here at The Driveway Company, we offer a wide range of colour and texture options to contrast with your adjacent surfaces. 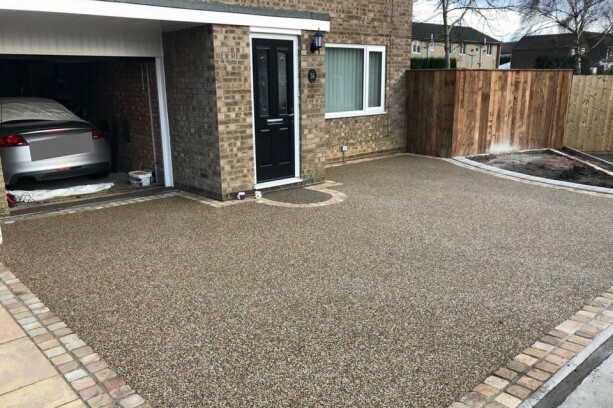 Another factor for choosing a resin bound driveway is in recent years there has been more public awareness of flood prevention. In-turn this has lead to the resin bound paving market growing at a considerable level. Unfortunately, as the demand has risen, we have also seen a number of companies completing sub-standard installations on driveways. When the resin is laid correctly this premium paving product can last for many years. Resin is permeable – the cold mix of this product uses a process which ensures each particle of stone is covered in the resin. Forming a stable 3D matrix, as part of the laying process minute voids are created which allow the water to drain through the driveway. Decorative – its offers a touch of style, its a sustainable, practical and versatile solution for your driveway. Weather – It does not soften during the summer months, nor does it freeze during the winter month. It also keeps its colour in the sunlight with no fading. Longevity – a long lasting durable surface, while guarantees can vary, when installed correctly it can as much as 25 years. Maintenance – no weeding, or loose stone to sweep up, just give your driveway a regular brush and occasional power wash to keep it looking good. Puddles – It reduces standing water i.e puddles which also reduces surface water running off your driveway. No planning permission required. 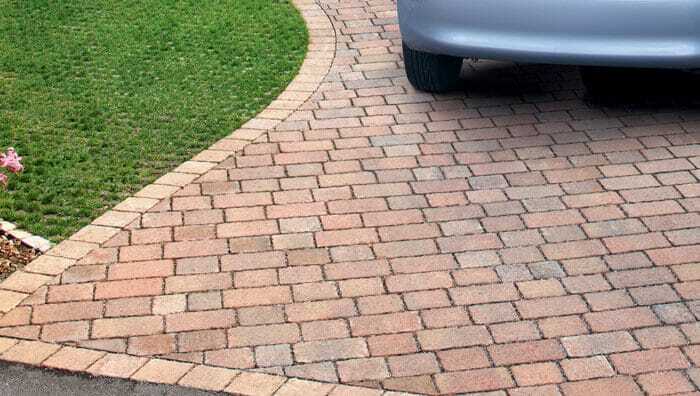 The legislation in 2008 changed for driveways, planning permission is not required for areas which are less than 5m2, or if the new surface you are laying is permeable. Finally, if you would like a free quotation for your resin bound driveway in the North East. Please get in touch you will find all our details on the contact us page. If you would like to keep informed of all our latest news, work and promotions, please join our Facebook page.